Thousands of students are earning extra income and gaining valuable skills by being employed at the University of Michigan. Aside from the excitement of another academic year, the fall term brings an abundance of campus job opportunities for which students can take advantage. Why should my student work on campus? After doing extensive research with employers across the country, The National Association of Colleges and Employers (NACE) has identified eight career readiness competencies that employers seek when hiring candidates. So aside from the ability to earn extra income, having a campus job provides a mechanism for students to gain skills and experience within those competencies. In any given college job, student employees have to work within a team, communicate with others from different backgrounds and identities, problem solve, provide customer service, lead their peers, manage projects, or even analyze data; all of which can set them up for success in a future internship or job interview. Will my student have time to work on campus with a full course load? Some students (and families) worry that part-time work will detract from time needed for academics and co-curricular activities. Student employees often note, however, that having a part-time job hones their time-management skills and helps them better allocate time appropriately for study and relaxation. And because so many student jobs have flexible hours and locations across campus, there are lots of options to suit a student’s daily schedule and routine. What campus job opportunities are there for my student? Employment opportunities for students are extremely varied and plentiful. They range from managing a residence hall cafe to officiating intramural sports games, from participating in the Undergraduate Research Opportunity Program to working at one of the many University Library locations, and everything in-between! There are a few different ways students seeking employment can search for a job at the University of Michigan. Student Life hires thousands of students to work in Housing, Michigan Dining, Recreational Sports, University Unions, Conference & Events and more. 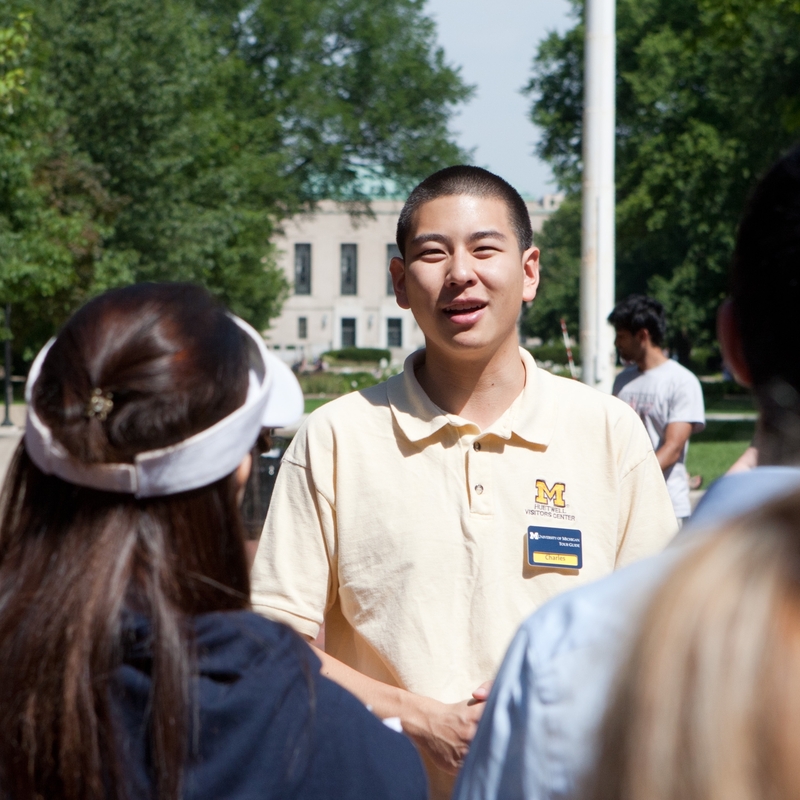 The U-M Student Employment Office also provides listings for student jobs, including Work Study (part of the financial aid package) and non-Work Study positions. F-1 and J-1 international students who are considering on-campus employment should first review the International Center's website as additional restrictions may apply and prior authorization may be needed to maintain compliance with US Immigration regulations. Does Your Student Need Health Insurance?